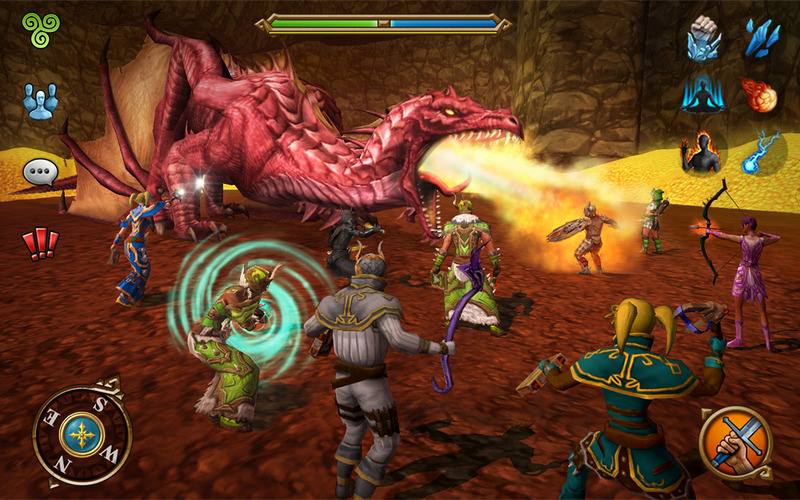 Monsters, also known as Mobs, are the main antagonists of the game. They range from powerful Dragons, to the Bloodgrove Druids, to the Kelpies of Stonevale. Mobs are usually unique to their Areas, although different variants appear in several places. These Mobs can always be targeted, and be attacked by any player unless the player is affected by some sort of Skill. They are usually hostile towards players, and have a certain Aggro range, that if you enter they will attack under normal circumstances. Mobs are ranked by 2 methods, their level, and the stars above their head. If a player kills a mob, the Mob may drop Gold and Experience, depending on the Mob in question. Fighting Mobs is known as PvE, as apposed to Players fighting other Players, which is known as PvP.